2. As mentioned in the previous post, Kim Jong-il’s sister and son were named to the KPA and various KWP offices. I, on behalf of the CPC Central Committee and on my own behalf, extend warm congratulations to you on the successful WPK Conference, your reelection as general secretary of the WPK and the election of its supreme leadership body. The WPK headed by General Secretary Kim Jong Il has achieved great successes in the cause of building Korean-style socialism through self-reliance and strenuous efforts by leading all the Korean people for many years. In recent years the Korean people have made a series of admirable achievements in economic development, improvement of the people’s standard of living and other fields to build a great prosperous and powerful nation. China and the DPRK maintain deep and traditional friendship and close geographical relationship with wide-ranging common interests. It is the steadfast policy of the Chinese party and government to consolidate and develop the Sino-DPRK friendly and cooperative relations. We defend and promote the bilateral relationship, always holding fast to it in a strategic view under the long-term discernment no matter how the international situation may change. We will strive together with the DPRK side to steadily put the bilateral relations on a new stage and provide greater happiness to the peoples of the two countries and make greater contribution to achieving lasting peace and common prosperity of the region. I heartily wish you and the WPK continued and greater fresh successes in the work to build a thriving nation by leading the Korean people. Chinese President Hu Jintao on Saturday pledged to strengthen ties with the new leadership in North Korea, during a visit to Beijing by a senior delegation from Pyongyang, state media reported. Hu’s comments come after ailing North Korean leader Kim Jong-Il this week offered senior posts in the Workers’ Party of Korea (WPK) to his son Jong-Un and promoted him to the rank of general — signs that he is the heir apparent. China is North Korea’s sole major ally and provides an economic lifeline to impoverished Pyongyang. “We believe that the WPK, the DPRK government and people will see new achievements in their national construction under the new WPK leadership,” Hu said, according to China’s official Xinhua news agency. Hu, who has welcomed Kim to China twice this year, said the Communist party would work with the WPK’s new leaders to “promote and expand cooperation” and “strengthen communication” on regional and international issues, Xinhua said. The leader of the North Korean delegation, party politburo member Choe Thae Bok, said Kim’s decision to dispatch a high-level group of envoys so soon after the WPK conference “shows the importance the DPRK attaches to the consensus reached by leaders of the two countries,” the report added. Pyongyang, September 28 (KCNA) — The Conference of the Workers’ Party of Korea was held with success in Pyongyang on Sept. 28. Kim Jong Il, general secretary of the WPK and chairman of the National Defence Commission of the DPRK, was present at the Conference. Present there were delegates elected at the meeting of WPK delegates of the Korean People’s Army and provincial and political bureaus’ meetings of delegates of the WPK. Officials of the party, armed forces and power organs, working people’s organizations, ministries and national institutions, servicepersons and officials in the fields of science, education, public health, culture and arts and media attended the Conference as observers. All the participants observed a moment’s silence in memory of President Kim Il Sung who successfully accomplished the cause of founding the Juche-type revolutionary party for the first time in history and developed the WPK into a powerful ever-victorious staff of the revolution. Kim Yong Nam made an opening address. Choe Yong Rim worked as chairman at the Conference upon authorization by the consultative meeting of provincial delegates. The Conference elected its Presidium. The Presidium included Kim Jong Il and Kim Yong Nam, Choe Yong Rim, Kim Yong Chun, Jang Song Thaek, Ri Yong Ho, Kim Jong Gak, Jon Pyong Ho, Choe Thae Bok, Yang Hyong Sop, Hong Sok Hyong, Kim Kuk Thae, Kim Ki Nam, Paek Se Bong, U Tong Chuk and Ju Kyu Chang. The Conference decided on the following agenda items. The Conference discussed the first agenda item. 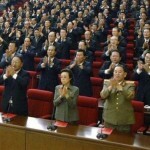 Kim Yong Nam delivered a speech proposing Kim Jong Il’s reelection as general secretary of the WPK. He said in his speech that Kim Jong Il has devoted his all to the prosperity of the country and the nation and the victory of the revolutionary cause of Juche only for decades since he embarked upon the road of the revolution. 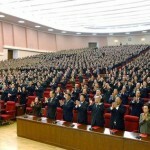 The recent meeting of WPK delegates of the KPA and meetings of provincial and political bureaus elected Kim Jong Il as a delegate of the WPK Conference reflecting the unanimous will of the army and people of the DPRK to invariably hold Kim Jong Il in high esteem as general secretary of the WPK. Having Kim Jong Il at the top post of the WPK, organizer and guide of all victories of the Korean people, is the greatest happiness and highest honor of all the party members, servicepersons and people. Kim Yong Nam courteously proposed to the Conference the reelection of Kim Jong Il as general secretary of the WPK reflecting the unanimous will and wishes of all the party members, servicepersons and people of the country. Then followed speeches by Chief of the KPA General Staff Ri Yong Ho who is a delegate of the KPA party organization, First Secretary of the C.C., the Kim Il Sung Socialist Youth League Ri Yong Chol who is a delegate of the Pyongyang City party organization, Chairman of the C.C., the General Federation of Trade Unions of Korea Hyon Sang Ju who is a delegate of the Jagang Provincial party organization, Chairman of the C.C., the Union of Agricultural Workers of Korea Ri Myong Gil who is a delegate of the North Phyongan Provincial party organization and President of Kim Il Sung University and concurrently Minister of Higher Education Song Ja Rip who is a delegate of the Pyongyang City party organization. The speakers fully supported and approved in unison the proposal of the Conference on reelecting Kim Jong Il as general secretary of the WPK. A resolution of the WPK Conference on reelecting Kim Jong Il as general secretary of the WPK was read out there. The Conference discussed the second agenda item. A resolution on the revision of the WPK rules was adopted. The Conference discussed the third agenda item. 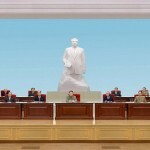 The Conference declared that Kim Il Sung, founder of the WPK and outstanding leader who led the party and the revolution to victories only, would be always held in esteem at the supreme leadership organ of the WPK reflecting the unanimous will and wishes of all the party members, servicepersons and people. It also declared that Kim Jong Il, general secretary of the WPK, was reelected as member of the Presidium of the Political Bureau of the C.C., the WPK, member of the Political Bureau of the C.C., the WPK, member of the C.C., the WPK and chairman of the Central Military Commission of the WPK according to the WPK rules and the detailed regulations for the election of the supreme leadership body of the WPK. The Conference elected the central leadership body of the WPK. Then followed the election of members and alternate members of the C.C., the WPK. Candidates for the members and alternate members of the C.C., the WPK were elected as members and alternate members of the C.C., the WPK. The members of the Central Auditing Commission of the WPK were elected. Candidates for the members of the Central Auditing Commission of the WPK were elected as members of the commission. 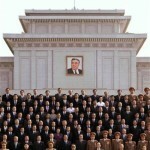 The Conference notified its participants of the decisions of the September 2010 Plenary Meeting of the C.C., the WPK. The results of the election of the Presidium of the Political Bureau and the Political Bureau of the C.C., the WPK and the secretaries of the C.C., the WPK and organization of the Secretariat were made public there. The results of organization of the Central Military Commission of the WPK were released. The appointment of the department directors of the C.C., the WPK and the editor-in-chief of Rodong Sinmun, an organ of the C.C., the WPK, and the results of election of the Control Commission of the C.C., the WPK were made public. The Conference notified its participants of the decisions made at the First Plenary Meeting of the Central Auditing Commission of the WPK. Kim Yong Nam made a closing speech. The Conference marked a significant occasion that demonstrated the revolutionary faith and will of all the party members, servicepersons and people to glorify the WPK as the glorious party of Kim Il Sung for all ages and accomplish the Songun revolutionary cause of Juche started on Mt. Paektu by invariably having Kim Jong Il, peerless political elder and illustrious Songun commander, at the top post of the party and the revolution. 5. According to KCNA the WPK rules were changed, but I am unsure how. The meeting elected the Presidium of the Political Bureau of the WPK Central Committee and the Political Bureau of the WPK Central Committee. It elected secretaries of the WPK Central Committee and organized the Secretariat. It organized the WPK Central Military Commission. It appointed department directors of the WPK Central Committee and the editor-in-chief of Rodong Sinmun, an organ of the WPK Central Committee. It elected chairman, vice-chairmen and members of the Control Commission of the WPK Central Committee. 7. According to KCNA: The Presidium of the Political Bureau of the Workers’ Party of Korea Central Committee is made up of Kim Jong Il, Kim Yong Nam, Choe Yong Rim, Jo Myong Rok and Ri Yong Ho. 8. According to KCNA: Members of the Political Bureau of the Central Committee of the Workers’ Party of Korea are Kim Jong Il, Kim Yong Nam, Choe Yong Rim, Jo Myong Rok, Ri Yong Ho, Kim Yong Chun, Jon Pyong Ho, Kim Kuk Thae, Kim Ki Nam, Choe Thae Bok, Yang Hyong Sop, Kang Sok Ju, Pyon Yong Rip, Ri Yong Mu, Ju Sang Song, Hong Sok Hyong and Kim Kyong Hui. Alternate members of the Political Bureau are Kim Yang Gon, Kim Yong Il, Pak To Chun, Choe Ryong Hae, Jang Song Thaek, Ju Kyu Chang, Ri Thae Nam, Kim Rak Hui, Thae Jong Su, Kim Phyong Hae, U Tong Chuk, Kim Jong Gak, Pak Jong Sun, Kim Chang Sop and Mun Kyong Dok. 10. According to KCNA: The Central Military Commission of the Workers’ Party of Korea is as follows: Chairman Kim Jong Il, Vice-Chairmen Kim Jong Un and Ri Yong Ho and Members Kim Yong Chun, Kim Jong Gak, Kim Myong Guk, Kim Kyong Ok, Kim Won Hong, Jong Myong Do, Ri Pyong Chol, Choe Pu Il, Kim Yong Chol, Yun Jong Rin, Ju Kyu Chang, Choe Sang Ryo, Choe Kyong Song, U Tong Chuk, Choe Ryong Hae and Jang Song Thaek. 11. According to KCNA: Department directors of the Central Committee of the Workers’ Party of Korea: Kim Ki Nam, Jang Song Thaek, Kim Yong Il, Kim Phyong Hae, Ri Yong Su, Ju Kyu Chang, Hong Sok Hyong, Kim Kyong Hui, Choe Hui Jong, O Il Jong, Kim Yang Gon, Kim Jong Im, Chae Hui Jong and Thae Jong Su. 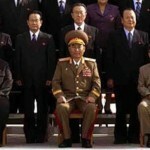 Kim Ki Ryong was nominated to be editor-in-chief of Rodong Sinmun, an organ of the WPK Central Committee. 12. According to KCNA: Members and Alternate Members of WPK Central Committee:The following are members of the WPK Central Committee: Kim Jong Il, Kang Nung Su, Kang Tong Yun, Kang Sok Ju, Kang Phyo Yong, Kang Yang Mo, Ko Pyong Hyon, Kim Kuk Thae, Kim Kyong Hui, Kim Kyong Ok, Kim Ki Nam, Kim Ki Ryong, Kim Rak Hui, Kim Myong Guk, Kim Pyong Ryul, Kim Pyong Ho, Kim Song Dok, Kim Song Chol, Kim Jong Gak, Kim Jong Suk, Kim Jong Un, Kim Jong Im, Kim Chang Sop, Kim Chol Man, Kim Chun Sam, Kim Thae Bong, Kim Phyong Hae, Kim Hyong Ryong, Kim Hyong Sik, Kim Hi Thaek, Kim Yang Gon, Kim Yong Nam, Kim Yong Chun, Kim Yong Il, Kim Yong Chol, Kim Yong Jin, Kim In Sik, Kim Won Hong, Kwak Pom Gi, Ryang Man Gil, Ryo Chun Sok, Ro Tu Chol, Ro Pae Gwon, Ryu Yong Sop, Ri Ryong Nam, Ri Man Gon, Ri Myong Su, Ri Mu Yong, Ri Pyong Sam, Ri Pyong Chol, Ri Pong Dok, Ri Pong Juk, Ri Thae Nam, Ri Hyong Gun, Ri Hi Hon, Ri Yong Gil, Ri Yong Su, Ri Yong Ho, Ri Yong Mu, Ri Yong Hwan, Ri Yong Chol, Ri Ul Sol, Rim Kyong Man, Mun Kyong Dok, Pak Kwang Chol, Pak To Chun, Pak Myong Chol, Pak Su Gil, Pak Sung Won, Pak Jong Sun, Pak Jong Gun, Pak Jae Gyong, Pak Thae Dok, Pak Ui Chun, Pyon Yong Rip, Pyon In Son, Paek Se Bong, Song Ja Rip, Jang Pyong Gyu, Jang Song Thaek, Jang Chol, Jon Kil Su, Jon Ryong Guk, Jon Pyong Ho, Jon Jin Su, Jon Chang Bok, Jon Ha Chol, Jon Hui Jong, Jong Myong Do, Jong Ho Gyun, Jong In Guk, Jo Kyong Chol, Jo Myong Rok, Jo Pyong Ju, Ju Kyu Chang, Ju Sang Song, Ju Yong Sik, Cha Sung Su, Chae Hui Jong, Choe Kyong Song, Choe Ryong Hae, Choe Pu Il, Choe Sang Ryo, Choe Thae Bok, Choe Hui Jong, Choe Yong Dok, Choe Yong Rim, Thae Jong Su, Han Kwang Bok, Han Tong Gun, Hyon Chol Hae, Hyon Yong Chol, Hong Sok Hyong, Hong In Bom, An Jong Su, Yang Tong Hun, Yang Hyong Sop, O Kuk Ryol, O Kum Chol, O Su Yong, O Il Jong, U Tong Chuk, Yun Tong Hyon and Yun Jong RinThe alternate members are: Kang Ki Sop, Kang Kwan Ju, Kang Kwan Il, Kang Min Chol, Kang Hyong Bong, Ko Su Il, Kim Kyok Sik, Kim Kye Gwan, Kim Tong Un, Kim Tong Il, Kim Tong I, Kim Tong Il, Kim Myong Sik, Kim Pyong Hun, Kim Pong Ryong, Kim Chang Myong, Kim Chon Ho, Kim Chung Gol, Kim Thae Mun, Kim Hui Yong, Kim Yong Suk, Kim Yong Jae, Kim Yong Ho, Kim Yong Gwang, Kim U Ho, Kwon Hyok Bong, No Kwang Chol, Tong Jong Ho, Tong Yong Il, Ryom In Yun, Ro Kyong Jun, Ro Song Sil, Ryu Kyong, Ri Kuk Jun, Ri Ki Su, Ri Myong Gil, Ri Min Chol, Ri Sang Gun, Ri Song Gwon, Ri Su Yong, Ri Jong Sik, Ri Jae Il, Ri Je Son, Ri Chan Hwa, Ri Chang Han, Ri Chol, Ri Chun Il, Ri Thae Sop, Ri Thae Chol, Ri Hong Sop, Ri Hi Su, Ri Yong Ju, Ri Yong Ho, Ri Il Nam, Pak Ri Sun, Pak Pong Ju, Pak Chang Bom, Paek Kye Ryong, Paek Ryong Chon, So Tong Myong, Son Chong Nam, Song Kwang Chol, Sin Sung Hun, Jang Myong Hak, Jang Yong Gol, Jang Ho Chan, Jon Kyong Son, Jon Kwang Rok, Jon Song Ung, Jon Chang Rim, Jong Myong Hak, Jong Pong Phil, Jong Pong Gun, Jong Un Hak, Jo Song Hwan, Jo Jae Yong, Jo Yong Chol, Ji Jae Ryong, Cha Kyong Il, Cha Jin Sun, Cha Yong Myong, Choe Ki Ryong, Choe Kwan Jun, Choe Tae Il, Choe Pong Ho, Choe Chan Gon, Choe Chun Sik, Choe Hyon, Choe Yong Do, Choe Yong, Thae Hyong Chol, Han Chang Nam, Han Chang Sun, Han Hung Phyo, Ho Song Gil, Hyon Sang Ju, Hong Kwang Sun, Hong So Hon, Hong Sung Mu, Hwang Pyong So, Hwang Sun Hui, Hwang Hak Won, An Tong Chun, Yang In Guk and O Chol San. 13. According to KCNA: The plenum elected chairman, vice-chairmen and members of the Control Commission of the WPK Central Committee. Kim Kuk Thae was elected chairman, Jong Myong Hak first vice-chairman, Ri Tuk Nam vice-chairman and Cha Kwan Sok, Pak Tok Man, Cha Sun Gil and Kim Yong Son members of the commission. 14. According to KCNA: The First Plenary Meeting of the Central Auditing Commission of the Workers’ Party of Korea was held here on Sept. 28. Present there were Kim Chang Su, Pak Myong Sun, Choe Pae Jin, Kim Chol, Sim Chol Ho, O Ryong Il, Kye Yong Sam, Ryu Hyon Sik, Ko Myong Hui, Pang Yong Uk, Jang Jong Ju, Ho Kwang Uk, Ji Tong Sik, Jong Pong Sok and Choe Kwon Su, members of the commission elected at the Conference of the WPK. The meeting elected chairman and vice-chairperson of the commission. Kim Chang Su was elected chairman and Pak Myong Sun vice-chairperson. 15. The Daily NK offers a summary of the conference. 16. Mike has a summary at NK Leadership Watch. The extraordinary congress of the North Korean Workers Party which convened Tuesday was apparently held at a smaller venue than previously expected. The Mansudae Assembly Hall (The Supreme People’s Assembly building), where it took place, seats 1,000, whereas previous guesses had put it at the 6,000-seater April 25 Cultural Hall or the People’s Cultural Palace, which has 2,000 seats. That suggests only 500 to 700 delegates attended the congress since a half of the seats at a party congress are normally filled with audience members. In comparison, some 1, 323 delegates attended the second party congress in October 1966. A high-ranking North Korean defector who saw photos of the latest party congress said it is clear that the event was considerably scaled down, in sharp contrast to the past event that had been held in a festive mood involving some 6,000 people. 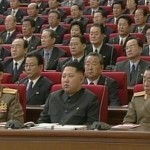 A senior source in North Korea also put the number of delegates at about 500, saying even some very senior officials had not been selected as delegates. The North seems to have downscaled the event due to anxiety over the leadership succession and a volatile mood in the country including signs of public unrest as food rations in Pyongyang were suspended, the source added. Many people who were unable to fit into the main conference hall reportedly watched the congress on video screens installed at the April 25 Cultural Hall and the People’s Cultural Palace. 18. Previous posts on the conference can be found here in chronological order: here, here, here, here, here, here, here, here, here, here, here, here. This entry was posted on Thursday, September 30th, 2010 at 11:43 am and is filed under Central Committee, Central Miltary Committee, Control Commission, Kim Jong Un, National Party Congress, Political Bureau, Political economy, Secretariat, Uncategorized, Worker's Party. You can follow any responses to this entry through the RSS 2.0 feed. Both comments and pings are currently closed.